I think the beautiful photo on the back cover of the cookbook drew me to making this salad. It was wonderful. I’ve already made it a second time! 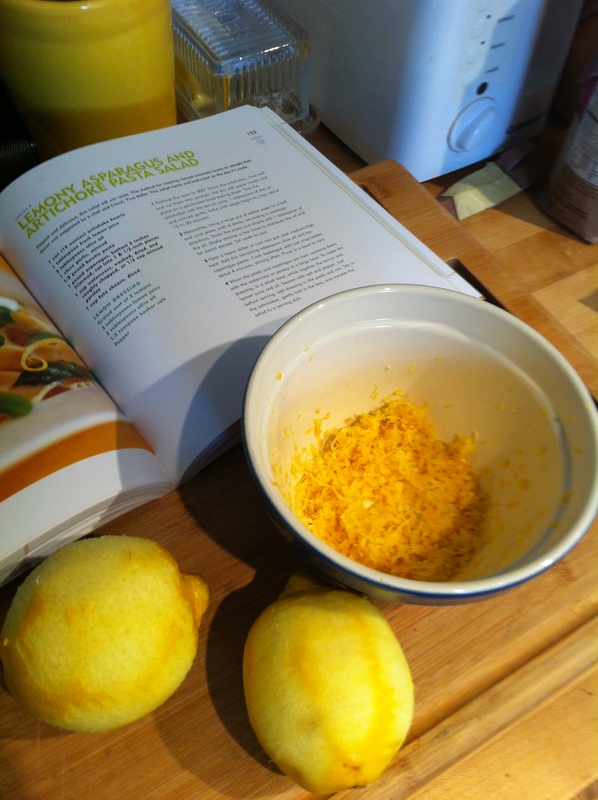 Zest two lemons to use in your dressing. 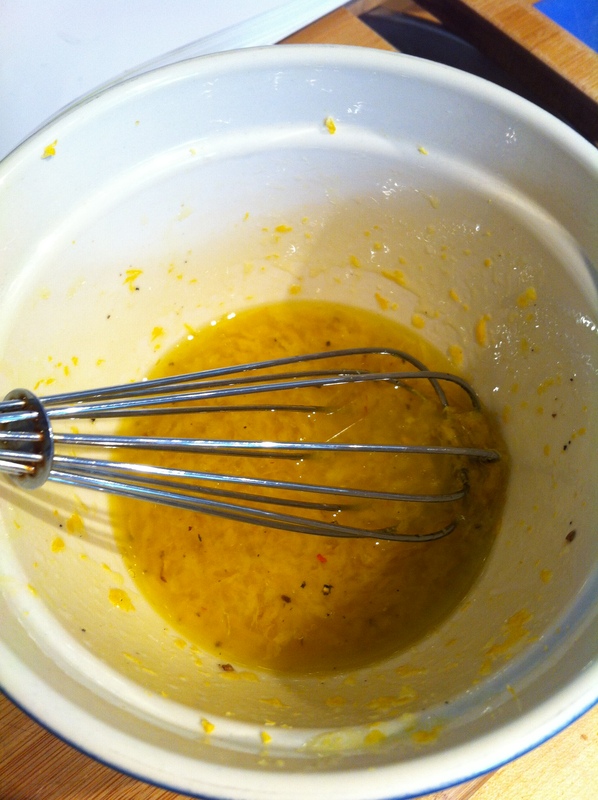 Whisk in fresh lemon juice, olive oil, salt & pepper. 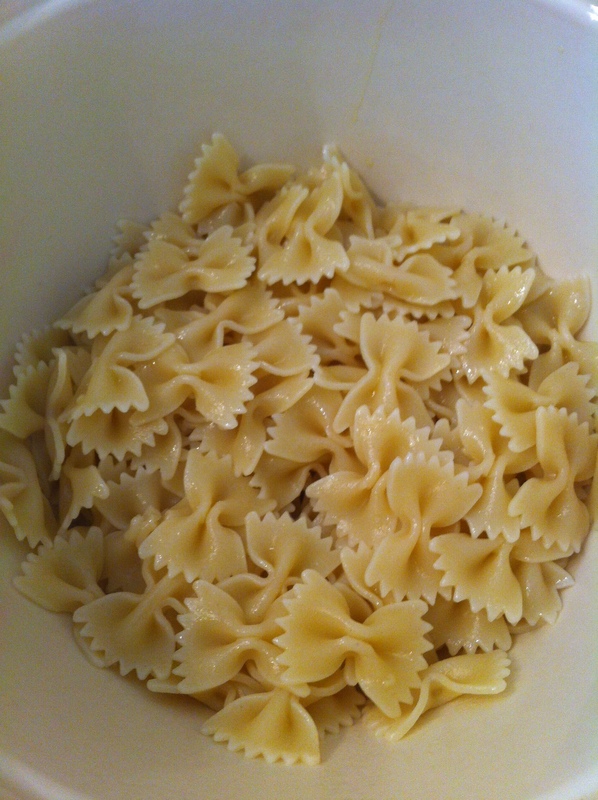 Prepare your bowtie pasta, al dente. 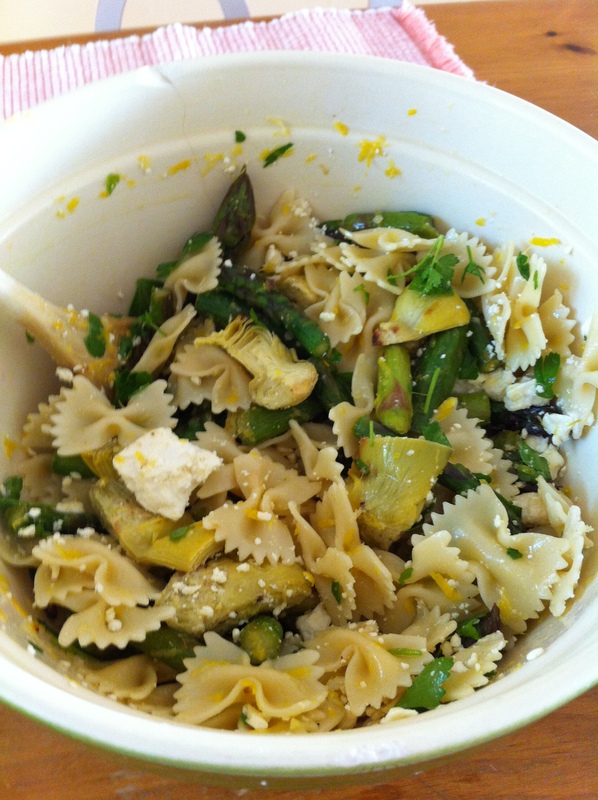 Quartered artichoke hearts get mixed with minced garlic, and more lemon juice and olive oil. 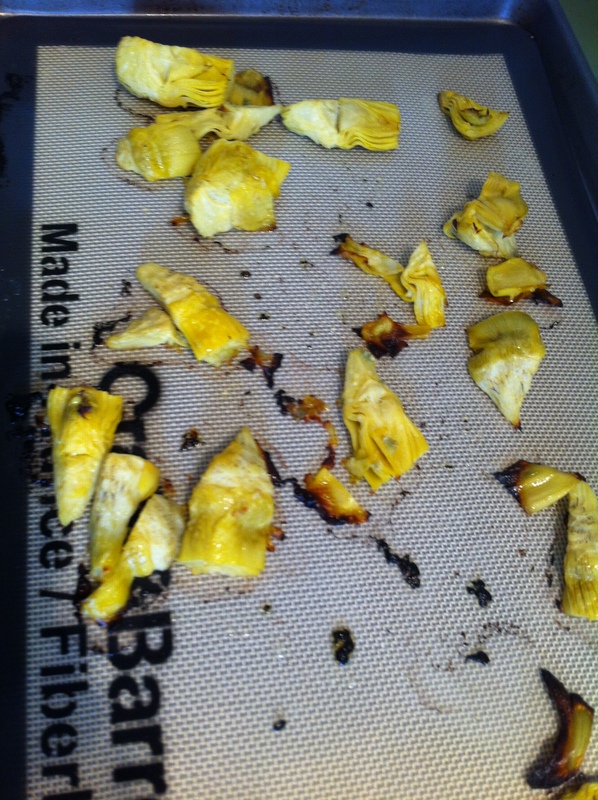 Then baked in the oven until edges are crispy. 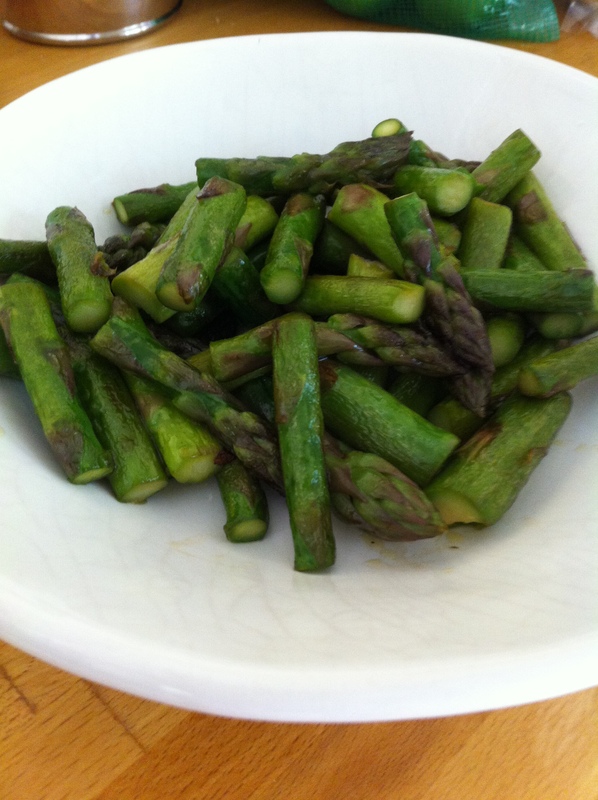 Asparagus is cooked in a heavy skillet with some olive oil until crisp-tender. Mix everything together for your finished product. Do not forget your chunks of feta!